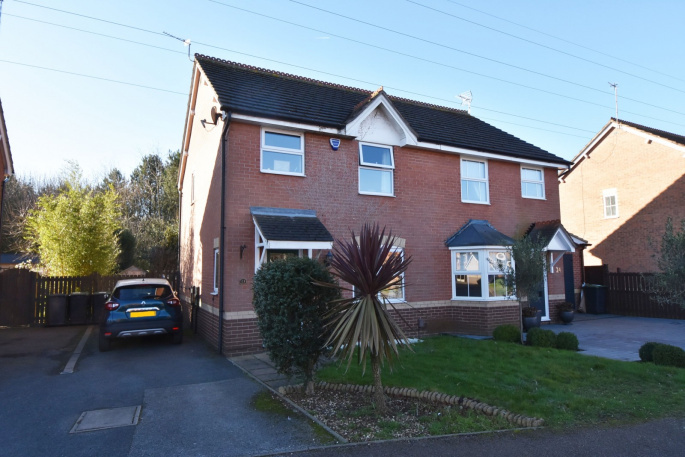 This well presented three bedroom semi detached house is located in Lonsdale Drive, which is part of a cul de sac and is very well located for primary and junior schools, as well as being in the catchment for the George Spencer Academy. 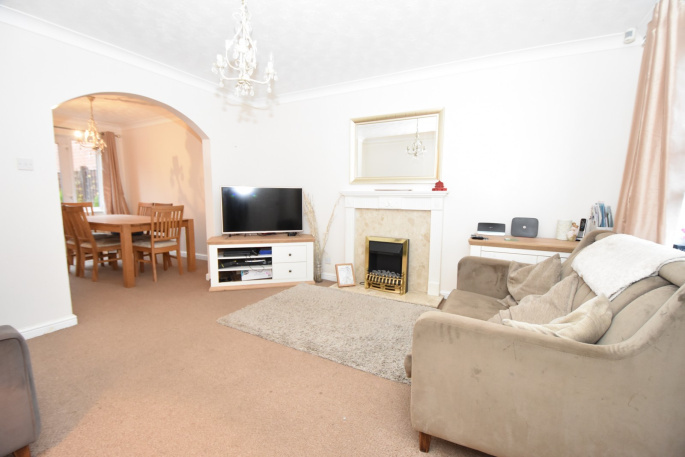 The accommodation has gas central heating and double glazing and is ideal as a home for a couple or a young family. As well as an enclosed garden to the rear, the house has a double length drive for off street parking. 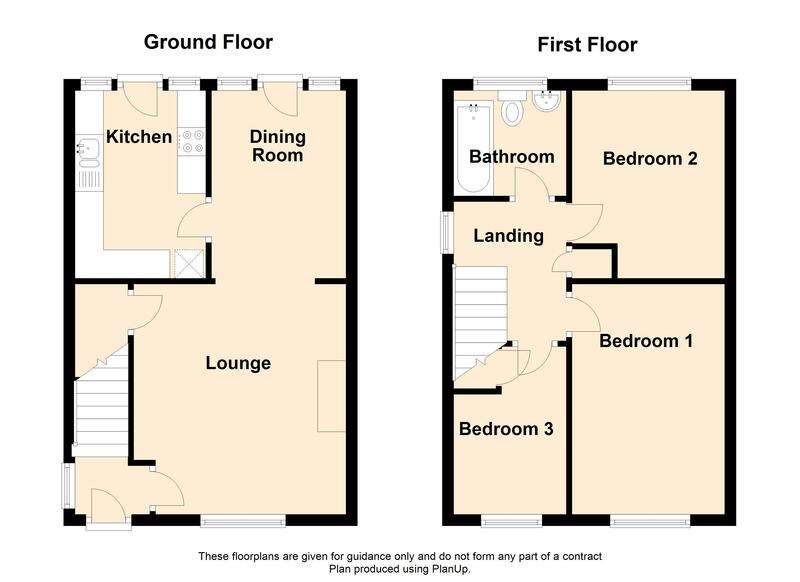 The ground floor accommodation comprises a square shaped lounge with a connecting dining room and a kitchen with a good number of fitted units and space for appliances. Upstairs there are two good sized double bedrooms, a single third bedroom and a bathroom with a modern suite. There is a nearby supermarket and a number of smaller shops as well as good bus services and easy access to the A52 and M1. Long Eaton and Beeston are both within a short drive. EPC RATING IS D - 66 - Viewing is recommended. A PVC entrance door with leaded effect and stained glass detail leads into the entrance hall. The hall has a side aspect opaque pane double glazed window, a radiator and wooden effect vinyl flooring. There is coving to the ceiling, a burglar alarm control panel and stairs rising to the first floor landing. This is a front aspect room with a double glazed window and a large single radiator beneath. The central focal point of the room is a decorative fire surround with marble back plate and hearth. 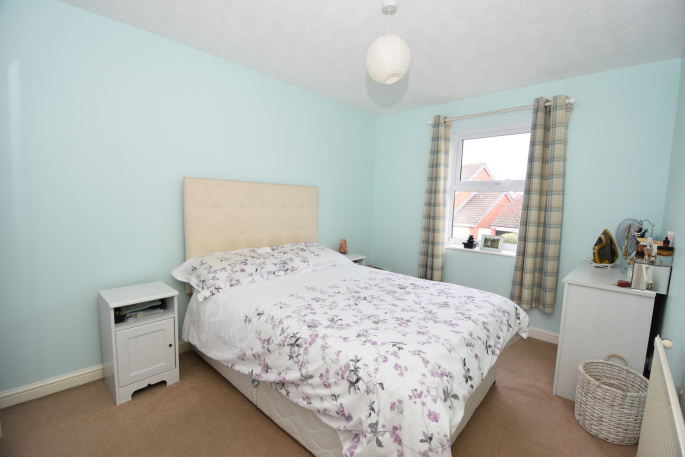 The room has a fitted carpet and TV point as well as coving to the ceiling and a useful under stairs storage cupboard. 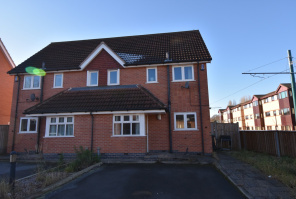 Located to the rear of the house and having a double glazed French door with glazed panels to either side. 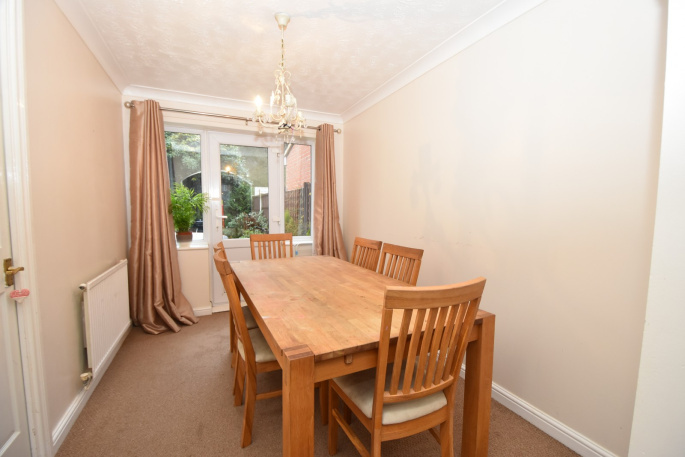 The dining room has a fitted carpet and coving to the ceiling. Very nicely fitted with a modern range of white glass fronted units with chrome bar handles and wooden effect acrylic working surfaces. There is an inset 1 1/2 bowl sink unit with mixer tap, a four ring gas hob with an extractor canopy above and a matching electric oven below. There are a number of drawers and tiled walls above the work surfaces. 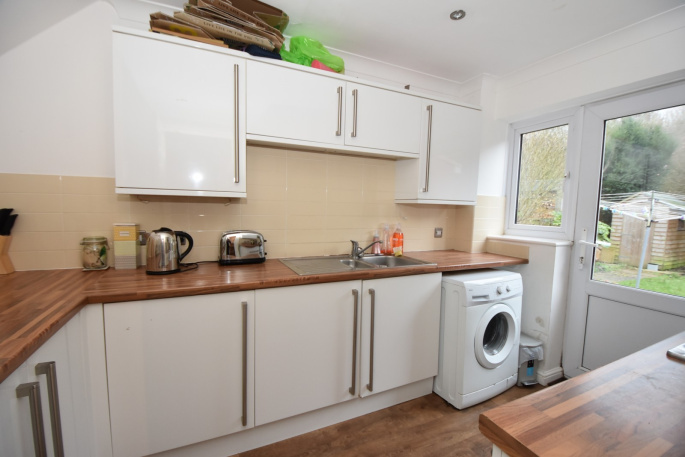 A cupboard contains a boiler for central heating and domestic hot water and there are ceiling spotlights, plumbing for an automatic washing machine and space for an upright fridge freezer. A rear double glazed door opens onto the back garden and has an adjacent window. A staircase rises to the first floor landing which has a fitted carpet and a side aspect double glazed window. There is coving to the ceiling and an airing cupboard that contains a factory lagged hot water cylinder with slatted drying shelves above. 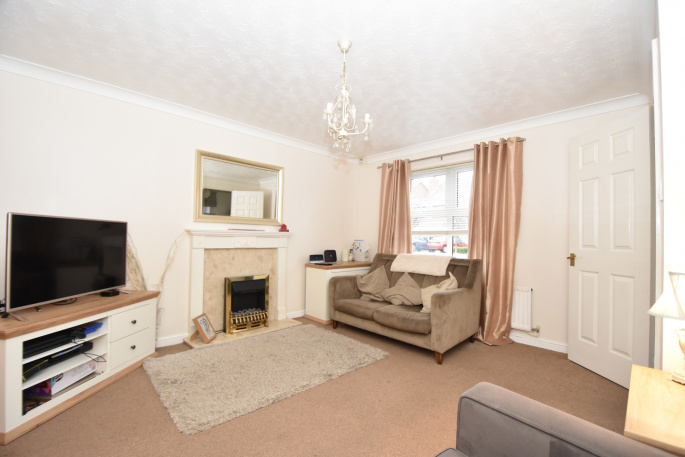 To the front of the house and having a double glazed window, a fitted carpet and a radiator. Three is a good area for freestanding wardrobes or for fitted wardrobes to be built. 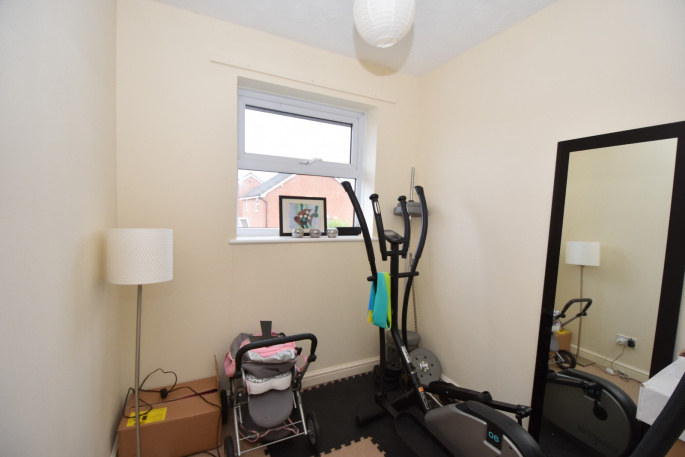 A rear aspect room with a double glazed window looking onto the back garden, a fitted carpet and a radiator. 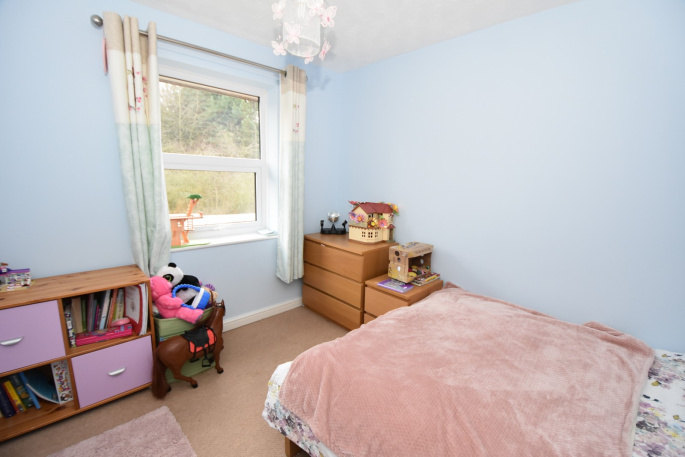 To the front of the house, this is a decent sized single bedroom with a double glazed window, a fitted carpet, a radiator and a built-in wardrobe cupboard. The bathroom is fitted with a white suite that comprises a panel enclosed bath with a concertina shower screen and an overhead Triton shower, a low level flush WC and a pedestal wash hand basin. The area surrounding the bath and shower is fully tiled and the remainder of the bathroom is half tiled. 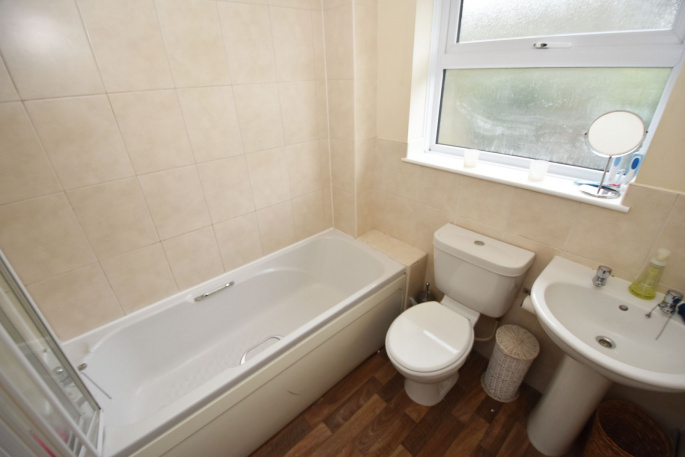 There is wooden effect vinyl flooring, a rear facing double glazed window and a chrome heated towel rail/radiator. 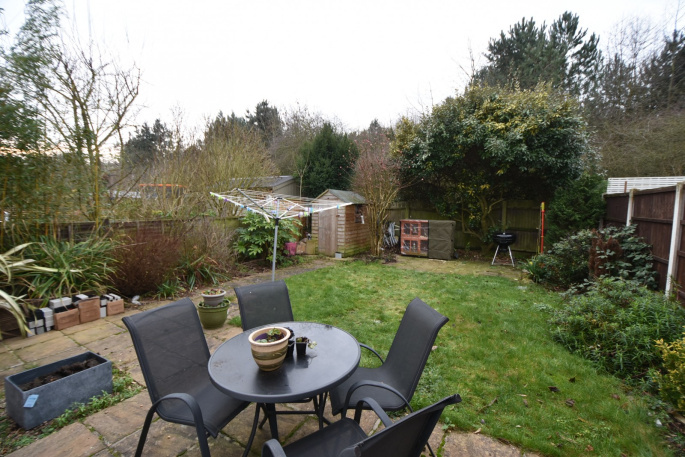 The rear garden has a paved patio area immediately to the rear of the house and a garden gate leading onto the drive. The garden is enclosed by timber panel fencing with gravel boards and concrete posts and there is a further patio area to the rear. A shaped lawn has a number of surrounding flower borders with a mature shrubs and bushes. The property backs on to woodland and measures approx. 33 ft. long. The front garden has a small, shaped lawn with a stone edged border and a paved path. There is a drive to the side of the house which is capable of taking at least two vehicles. Do you need help getting the best finance for your next move? At Taylor mortgages we have access to the whole of the mortgage market with access to over 40 different lenders and their products. Don't waste time going up and down the high street to find the best deal. We can do all the leg work for you and have access to exclusive deals. Your home may be repossessed if you do not keep up repayments on your mortgage. Taylor Mortgages is an Appointed Representative of Stonebridge Mortgage Solutions Ltd, which is authorised and regulated by the Financial Conduct Authority. Proprietor: Luke Taylor. 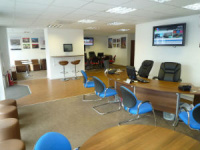 We charge a fee on mortgage offer, the precise amount will depend on your circumstances. This will typically be £249 but will be no more than 1.5% of the mortgage amount. "Our agent Dominic was extremely patient when we came across some issues with the vendors and always did his best to move things along and thankfully disaster of the chain falling through was averted."